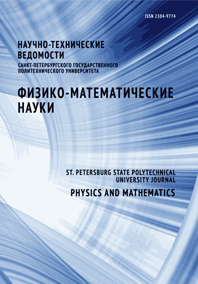 Khripunov Albert K. Stepanova Tamara P. Saprykina Nataliya N. Astapenko Ella P. Romanov Dmitriy P. Tkachenko Albina A. Kapralova Victoria M.
A comparative study of dried nanogel films of the Gluconacetobacter xylinus cellulose (GXC) in native and disintegrated forms treated with AgNO3 solution has been carried out by means of SEM and XRD. The supermolecular structure of samples studied was shown to be 3D network of nanostrips formed with oriented macrofibrils in which amorphous and crystalline regions alternate. XRD patterns of the GXC dry films, pre-treated with AgNO3 aqueous solution, demonstrate both residual AgNO3 and reduced Ag0, the latter positioned in longwise direction of morphologic structure elements. The XRD and SEM studies of dried GXC films disintegrated in 1 % AgNO3 aqueous solution showed the presence of reduced Ag0 in the form of nanoparticles 10 – 50 nm in diameter located in the free volume of the GXC 3D network nearby structural elements.